This post is sponsored by Stonefire Authentic Flatbread. All text, opinions and images are my own. Take an easy, classic dessert to a whole new level without adding much prep time – Caramel Apple Cinnamon Sticks! There is a pizza place by my mom’s house that has Cinnamon Sticks on the menu. Whenever we order, they always make it onto the order because they are such a light dessert we all love. It especially hits the spot after pizza or savory appetizers. 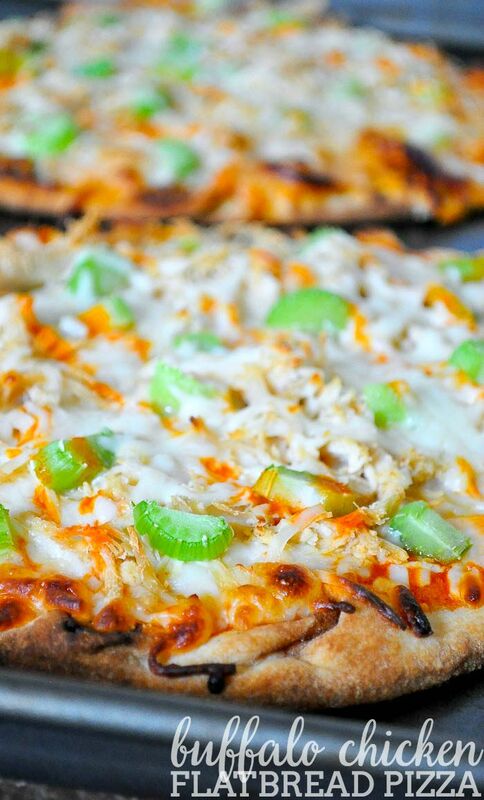 Then, I realized that I could use Stonefire Artisan Flatbread, which I use often to make flatbread pizzas like my Buffalo Chicken Flatbread and my BBQ Chicken Flatbread, to also make homemade cinnamon sticks and life got even better! Then I was sitting around and started thinking, how could I make a simple yet delicious cinnamon stick even better! 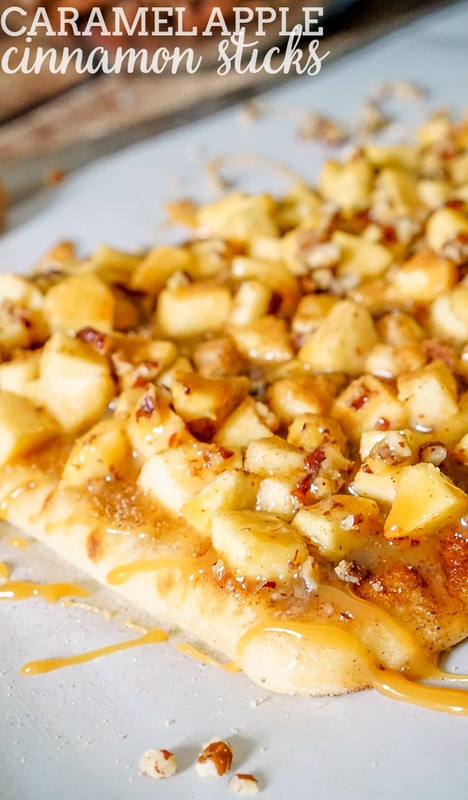 Add caramel, apples and pecans, of course! 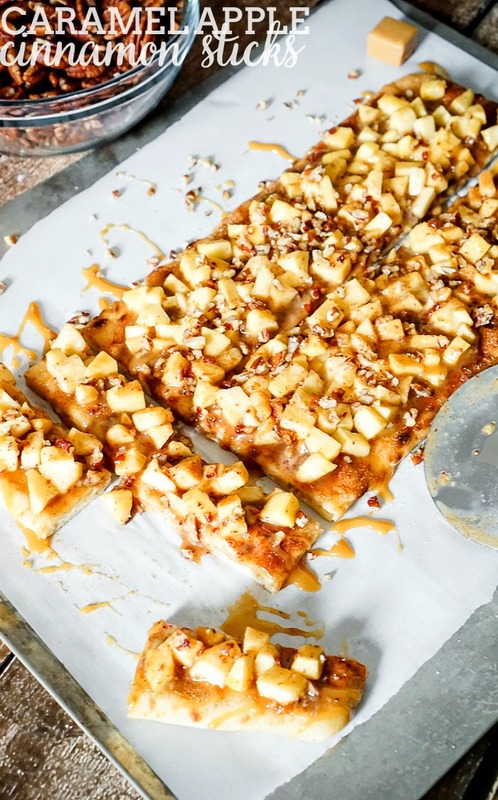 These Caramel Apple Cinnamon Sticks will definitely get your hands a bit messy but every bite will be worth it because there is nothing much better than gooey, sticky caramel! The best part is that it takes only a few minutes to make up these Caramel Apple Cinnamon Sticks – or the original with a powdered sugar glaze – so you aren’t spending the night hiding in the kitchen away from your guests. They are perfect for Christmas this week and maybe even better for New Year’s Eve. Even more, they make a fun dessert for the whole family after pizza night or to make a movie night more special. Yummy no matter when you make them! 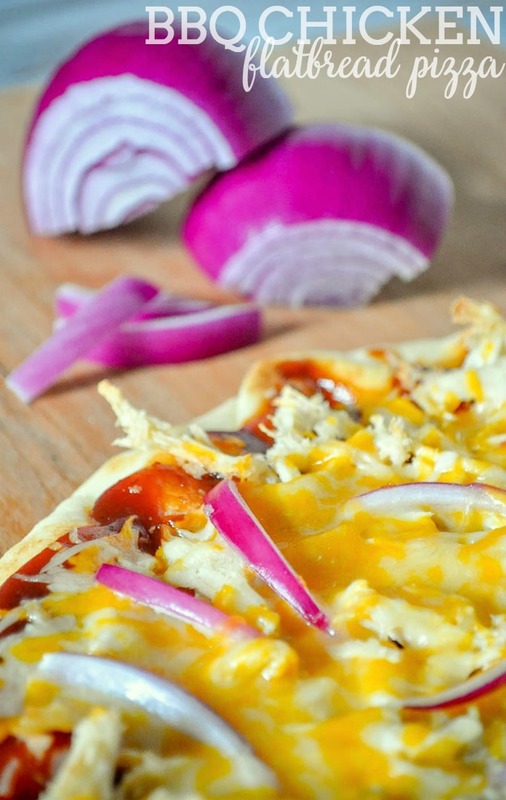 Using a pastry brush, add melted butter onto your flatbread. 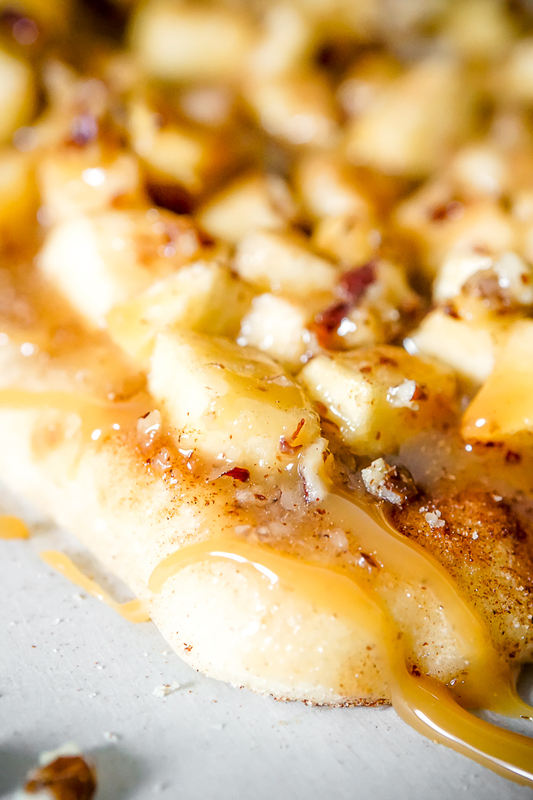 Mix cinnamon and sugar together and sprinkle onto the flatbread. 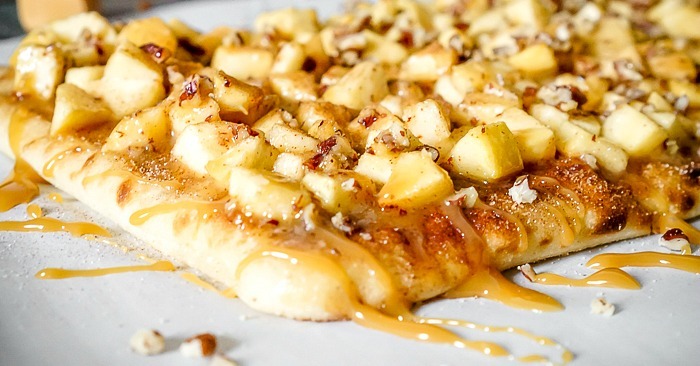 Mix together diced apples, caramel and pecans. Add to the flatbread. Bake at 425 F for 10-13 minutes until bread gets crispy and golden. Let sit for about 10 minutes and then cut using a pizza cutter and serve.